Green with plastic tightening wheel without fuse holder. Ideal battery isolator or antitheft device. 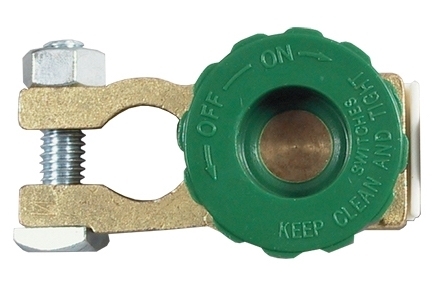 Connects directly to negative battery terminal with another terminal for the negative clamp.